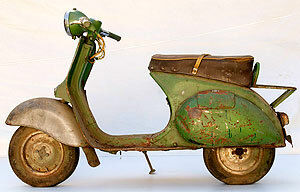 Restauration is a slow – meticulous – process, which produces an authentically restored motor car or motorcycle. 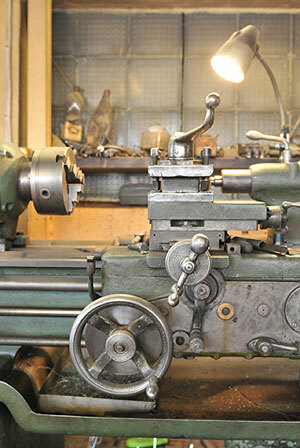 Every single part of the restored vehicle requires careful study and research. Of extreme value is the availability of original spare parts, but, when necessary, new parts are made with emphasis on the technology and materials that were used to produce the original. Not all materials survive the test of time – rubber becomes dry and cracks, leather, without proper maintenance, becomes hard and brittle. Metals suffer from corrosion, while oil thickens, requiring dismantling of mechanisms for careful cleaning before re-assembly. “Save it from rust!” is the motto of our museum since the biggest enemy of metal is rust; but it can be stopped and the damage - repaired. 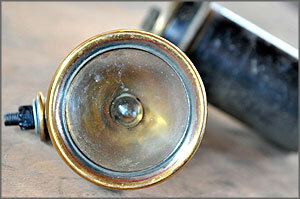 Depending upon the extent of corrosion, various methods of restoration can be applied. In minor cases, cosmetic intervention will suffice, but in more serious ones, the corroded metal is replaced by a new piece. 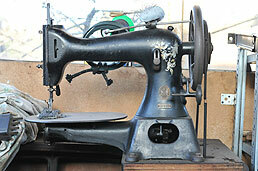 Correctly repaired and treated, items will last a long time providing enjoyment for more than a generation. It is very important to preserve our cultural and historic heritage in this area. 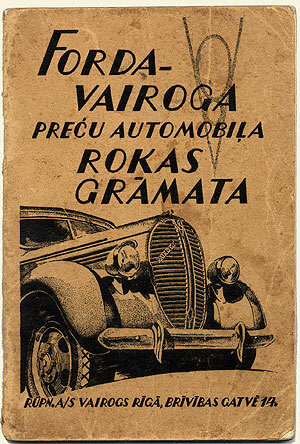 At one time cars, motorcycles, and bicycles assembled or manufactured in Latvia were rated among the best in the world – something worthwhile remembering and to be proud of! Should you own something of (historical) value which you can no longer afford to maintain but would like to preserve for future generations, we invite you to turn to us for advice. We promise we can help you! In restoration work, sewing plays a very important role in fashioning fine leather, upholstery, and covers because it is the refinement of detail that exudes historic charm. The material for the roofs of convertibles mimics, only visiually, the fabrics made in earlier times, as they have been produced by state of the art technology and will last much longer than their original predecessors! 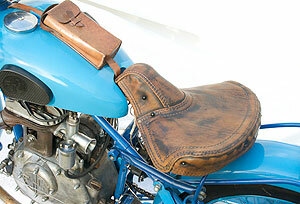 It is of utmost importance to create a unified image of the restored object; for instance, the leather accessories of the successful F/N motorcycle serve as a good example of how well the earlier processes and techniques have been immitated. 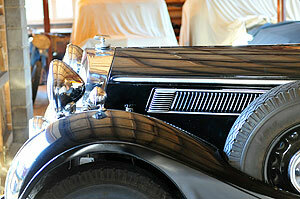 The processing of metal plays an essential role in vehicle restoration. More than 40 years of experience in restauration of automobiles has been passed down from generation to generation, and this constitutes a trove of authentic methods in metal working: forging and turning of iron, milling, folding and bending, cold-riveting, diverse types of welding, chrome plating, use of mordant, i.e., use of chemicals, etc. These very diverse techniques are used in vintage car restoration. Paint is a distinctive witness of the times past. Occasionally, it is worth preserving the original paint job of a car, but most of those exhibited in the museum have been completely restored because the paint was no longer viable, as most of the body was riddled by rust, making any further preservation impossible. In the process of restoration, cars are prepared for repainting by hand in the same manner it would have been done originally, when they were manufactured. First, the car is primed multiple times, then, sanded, painted and polished, with the intention to mimic the signature of the craftsmen of the past century when many metal parts of car bodies were shaped manually by cold-forging. A new paint job does not only restore the vehicle to its former beauty, it also transforms it into a dominant attraction. Suddenly, the old car projects a new image! 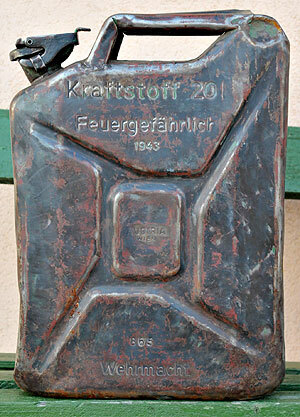 Very often, the Soviet era technology excelled with its imperfections, which are eliminated in the resoration process. Thus, when people see them again, restored like new, there is a welling of joy as they view their favorite things in a new perspective! These cars do have unique personalities and their own kind of charm. No wonder, they were heroes - vintage movie stars. It is high time they reentered the set in their full splendor. 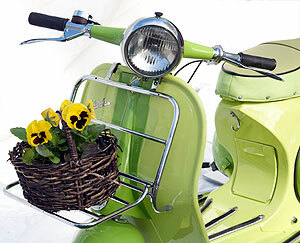 Different parts of the cars, motorcycles, or bicycles may seem insignificant to an ordinary viewer, but not for the restorer, who is able to recognize the answers to many questions in them. Even a tiny detail can reveal an existence of a unique specimen, a small lamp - belonging to a particular model, any mechanical part – a meaningful sign of a car or motorcycle design. It is a very interesting and exciting process…to search, explore, analyze! 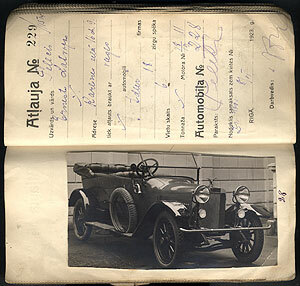 Historical data research and the analyses of various materials help us better understand the philosophy of auto-engineering throughout its history. The auto industry mirrors the best trends in fashion, in technology and its possibilities. These aspects reflect the aura of the past century, and provide clues about what people thought, what occupied them, and how they expressed their love. This diverse historical testimony facilitates auto restoration, because it permits us to retrace the capabilities of the craftsmen, the technologies available to them and the interaction of the two throughout the course of history.